Quickly modify an app written for Amazon S3 and port it to Cloud Object Storage. As a consumer, you know that having a choice is a good thing. Can you imagine having only one flavor of ice cream to choose from, or only one brand of tires available for your car? When it comes to object storage, IBM Cloud now provides another option for cloud storage. With IBM Cloud Object Storage, you can store, manage, and access your data through a self-service portal and RESTful APIs. 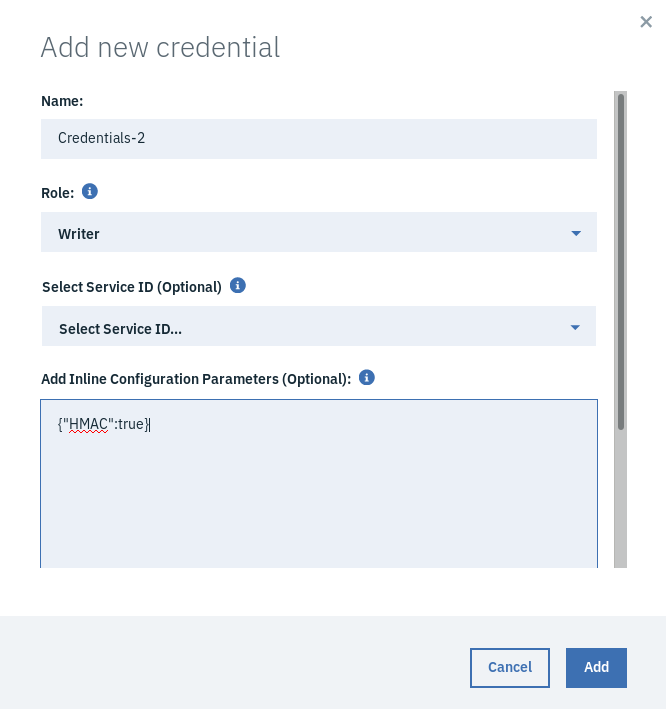 You can connect applications directly to object storage and integrate IBM Cloud services. 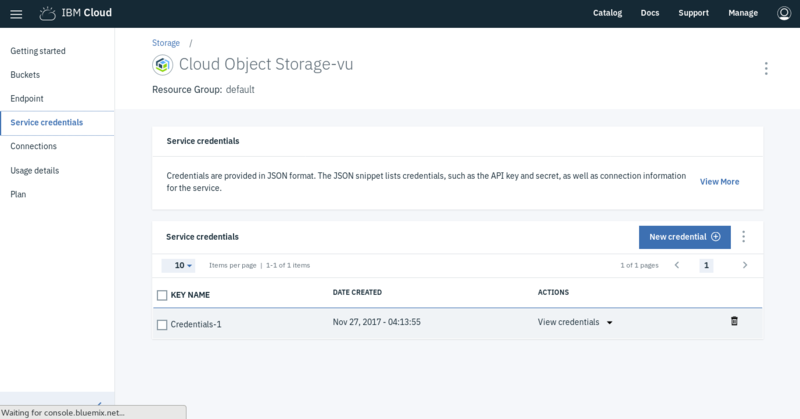 To show how quickly you can port an app to Cloud Object Storage, this tutorial takes an application that is already set to use Amazon S3 and converts it to store data with IBM Cloud Object Storage. To complete the following steps, you need a service instance of IBM Cloud Object Storage, and Node.js installed locally. It should take you about 15 minutes to complete these steps. After that, you can review a brief discussion of alternative authentication methods. The aws-nodsjs-sample is a very simple Node.js app. When you run the sample, it creates a bucket in object storage and populates that bucket with a small file. The next step is to modify the application to use the IBM Cloud Object Storage Node.js software development kit (SDK). In the package.json file, change line 3 from "aws-sdk": ">= 2.0.9" to "ibm-cos-sdk": ">= 1.2.1". Then, in the sample.js file, change line 18 from var AWS = require('aws-sdk'); to var AWS = require('ibm-cos-sdk');. The endpoint in the previous code snippet specifies the region where you want your bucket created. In this example, the US Cross Region endpoint is used. To specifiy a particular datacenter, region, or even a different continent, replace the endpoint listed with the endpoint that you want to use from the list at Select regions and endpoints. Finally, in the line following your varible declaration, pass the variable to the client by changing var s3 = new AWS.S3(); to var s3 = new AWS.S3(config);. To check, go back to the Cloud Object Storage console and select Buckets, as shown in the following screen capture. You should see your bucket listed. If you click on the bucket name, you should see your hello_world.txt file in it. Now you are up and running with IBM Cloud Object Storage! To show how quickly you can migrate an app from AWS to IBM Cloud Object Storage, the previous steps use the authentication method native to AWS apps. Now that the app is migrated, you can use simpler methods to authenticate with API keys. Select Service credentials and click New credential, but don’t ask for HMAC keys as you did in the previous steps. Instead, you can copy the entire credential into a file named ~/.bluemix/cos_credentials. If this file is present, it overrides anything from the file in ~/.aws/credentials that you created in the previous steps. In this tutorial, you learned how quickly you can migrate an application from using AWS S3 to IBM Cloud Object Storage. The SDK is nearly identical, and after you port it to Cloud Object Storage, you have several additional authentication options.